This mesmerising exhibition can also be seen at the Museum of Geraldton 20 July – 20 August, 9.30am – 3pm daily. 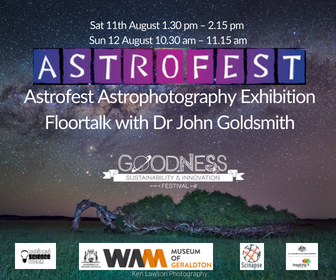 John Goldsmith is a Western Australian based astrophotographer, author, exhibition curator and PhD Researcher. 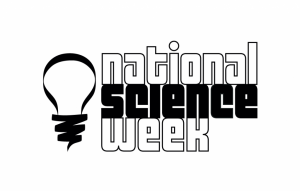 He has as served as the curator for the Astrofest astrophotography exhibition, since 2009. His PhD research, at the International Centre for Radio Astronomy Research, Curtin University, investigated cultural astronomy and the documentation, communication and sharing of Aboriginal sky knowledge, associated with Wolfe Creek Crater (East Kimberley) and the Square Kilometre Array radio astronomy initiative in the Murchison region of Western Australia.